It happens only rarely, by every once in a while you run into a client who wants to do things out of sequence. 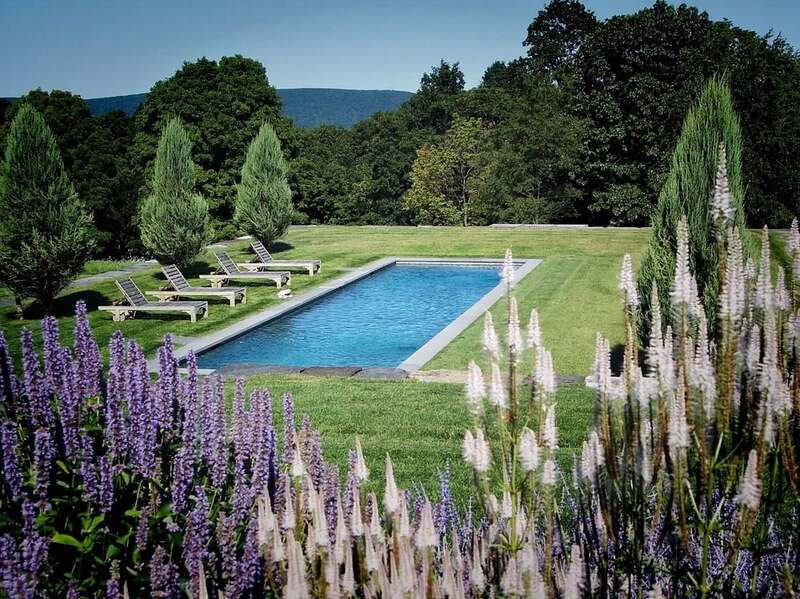 An adjacent tennis court's size and proportions were used to trigger the design of the pool and spa. Both watershapes feature knife-edge-slot, perimeter-overflow designs that give them the appearance of floating above the surrounding deck. Most often, we're asked to work on projects where there's an existing home that needs a watershape. Just as commonly, we're brought in when a home is being built at the same time as a new pool and its associated environment. In the case described in this article, however, our client owned a 20-acre site with little more than a modest, existing farmhouse on the property. While he planned to replace that structure eventually, he told us, his teen-aged children meant that the fun parts needed to come first. We couldn't argue with his logic, so we signed on to build a pool, a spa and the surrounding decking, while the adjacent tennis court and pool house were handled by other contractors.